How does Solarize save you money? Through an agreement reached with Catamount Solar, they will reduce the price of the solar installation for everyone based on quantity of agreements. Through bulk sales Catamout can reduce their overhead costs and pass the savings down to the consumer. 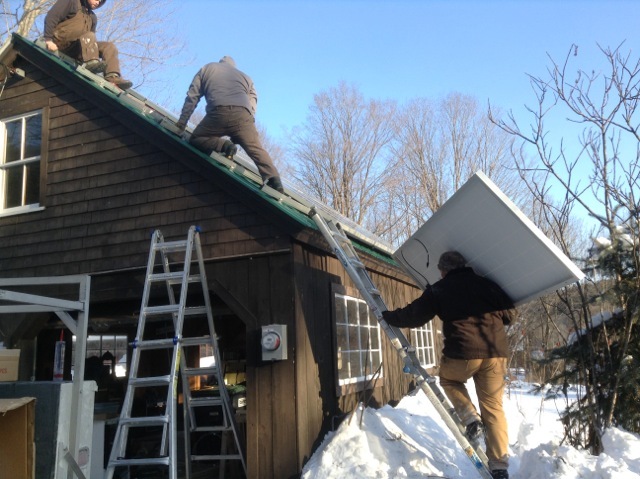 Working with the community volunteers helps raise more awareness about the program allowing Catamount to do what they do best, install solar arrays. This again helps creates more savings which are passed onto future solar homeowners! The pricing for a solar installation is unique to each household and is based on how much money you spent on electricity annually. There are 5 Price Tiers for Solarize 2016. We will move up into the next tier when more people sign up for a solar installation. The average size of residential solar array is 6kW. Based on the average size of an array it may take as little as 30 signs ups for us to get to tier 5!